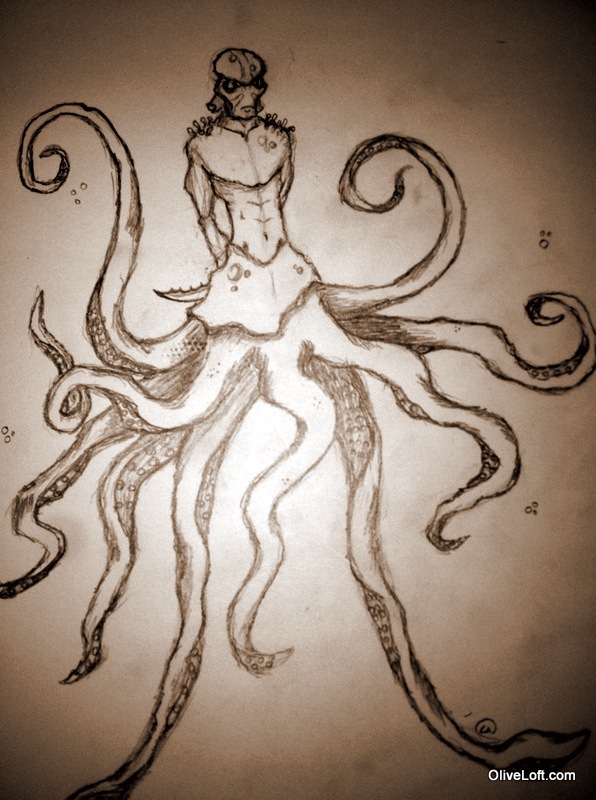 Dreadnought has the lower body of an octopus and the upper body of humanoid. He befriended Billy Bligh many years ago, and has been hunting with the admiral ever since. Dreadnought has a special hatred for trolls, since the two races share the same waters. Recently, the cecaelia has been living in the waters under the Kraken’s Wake. During the War of Horded Magic he killed many trolls and helped save a many people who were locked in a ship by Whitewater. Dreadnought does not trust easily, and relies heavily on Billy’s opinion of others. I look forward to many sea battles with Dreadnought.